We took a train to Bondi Junction for AUD3.20. At Bondi Junction, we took bus 333 for AUD 2.20 each which is a 30 minutes bus ride to the Bondi Beach Town Area. 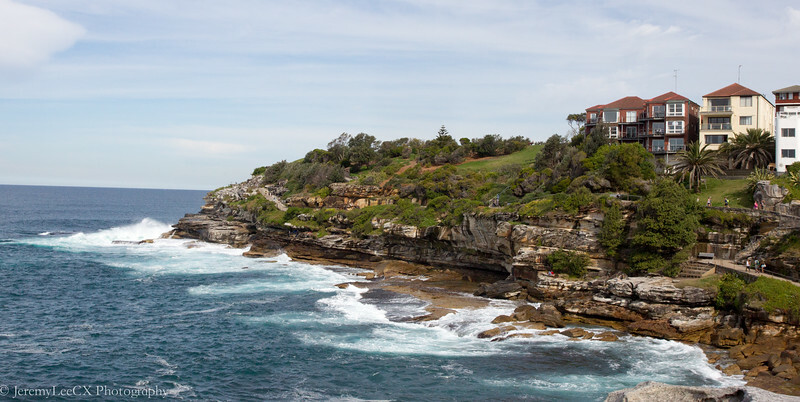 North Bondi is home to many low rise residential estates and the Bondi Golf & Diggers Club. The white sand and blue skies are treat to the eyes. The sound of crashing waves are music to the ears. 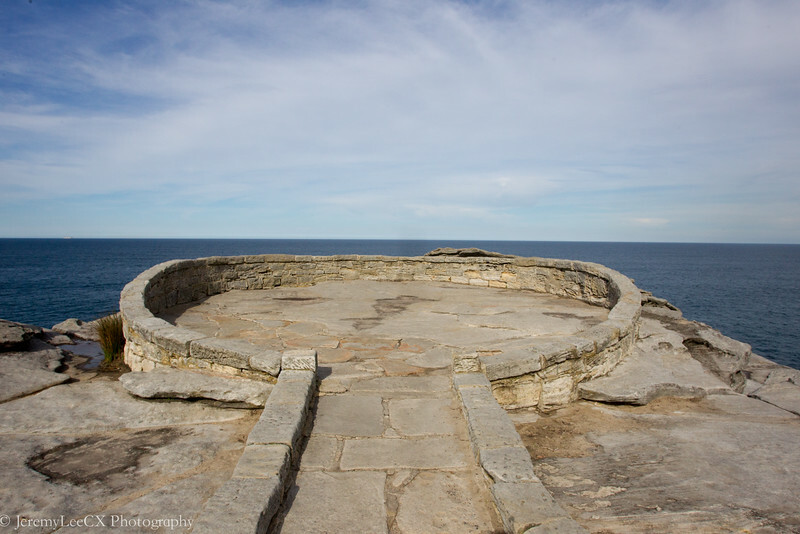 As we were moving towards South Bondi, we notice the waves crashing onto a rock foundation. The waves seem to flow over to a pool. As we moved up towards Notts Ave, we realised the pool is part of the Bondi Iceberg Club. 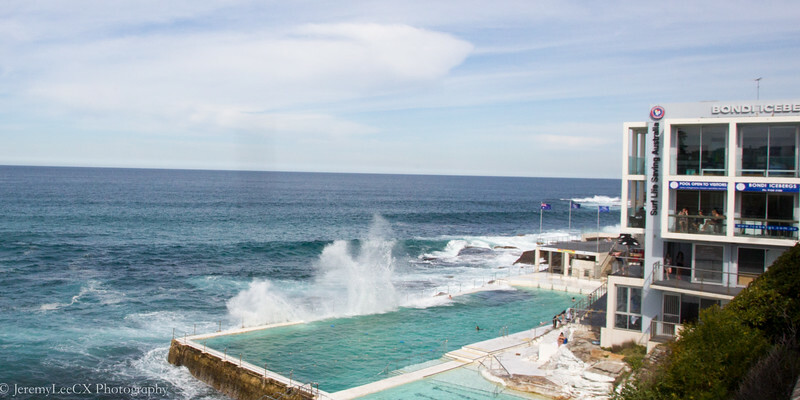 The club offers views of the Tasman Sea and waves that crash onto and into the seawater pool. Walking further along Notts Ave brought us to Marks Parks. 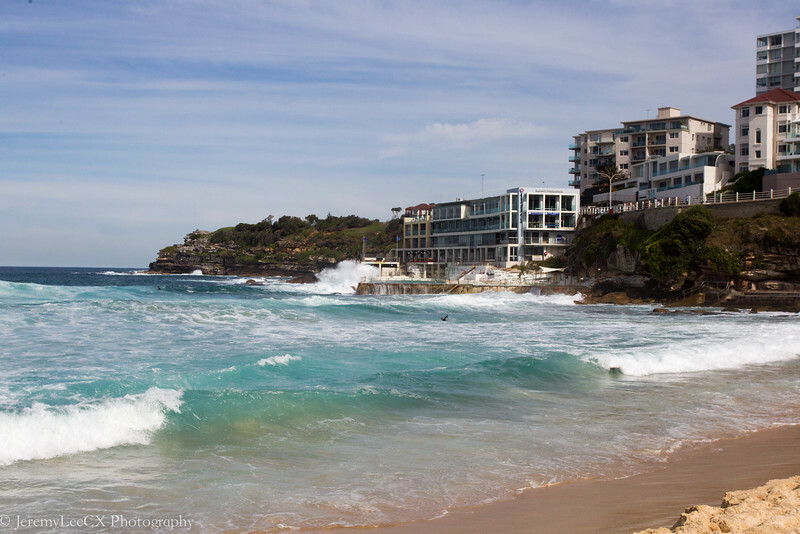 Walking further down leads us to Tamarama beach. By this time, we were all tired and we took a slow stroll back to the main train station where we arrived. We took bus 333 back to Sydney City.